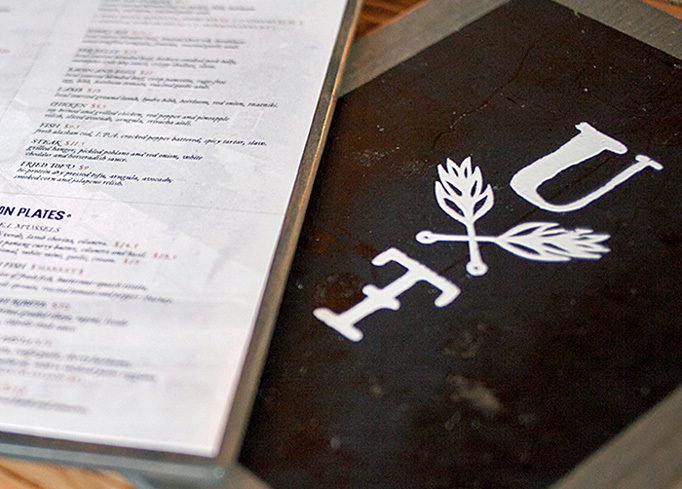 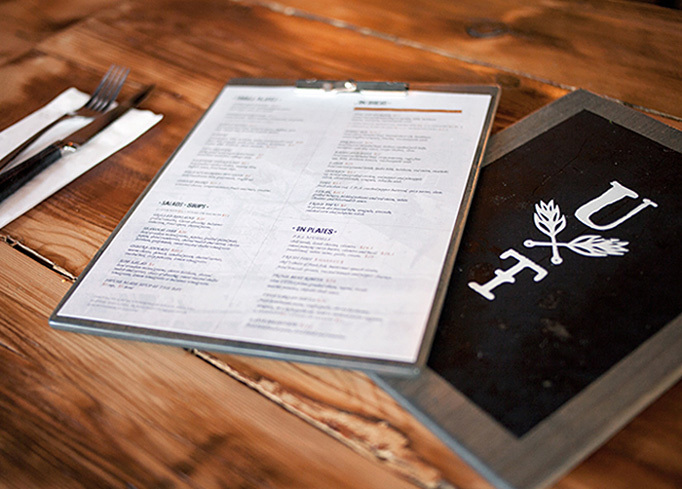 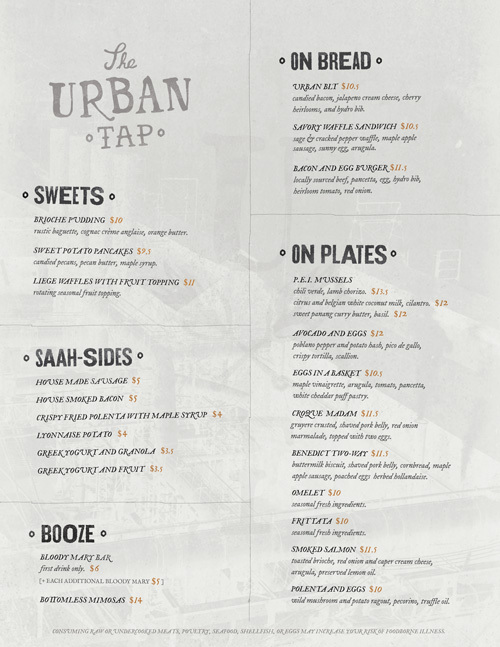 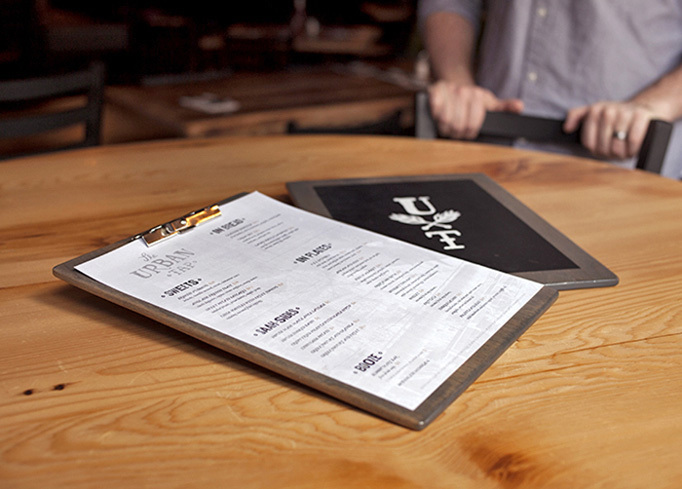 The raw rustic identity system setd The Urban Tap apart from the hordes of restaurants and bard in Pittsburgh’s South Side. 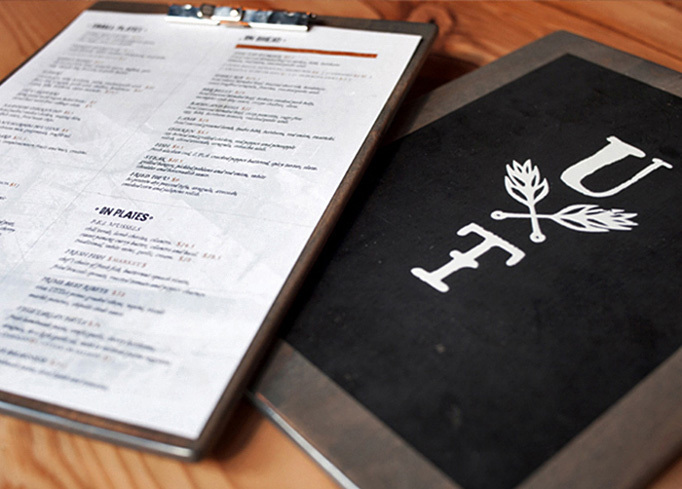 The pseudo-sloppy punk graphic approach alludes to a visceral humanity and raw sincerity behind the food and in the reception a guest at this restaurant should expect to receive. 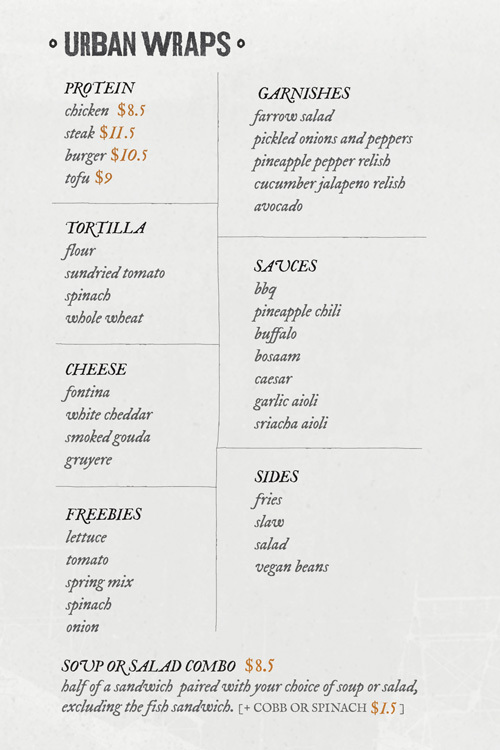 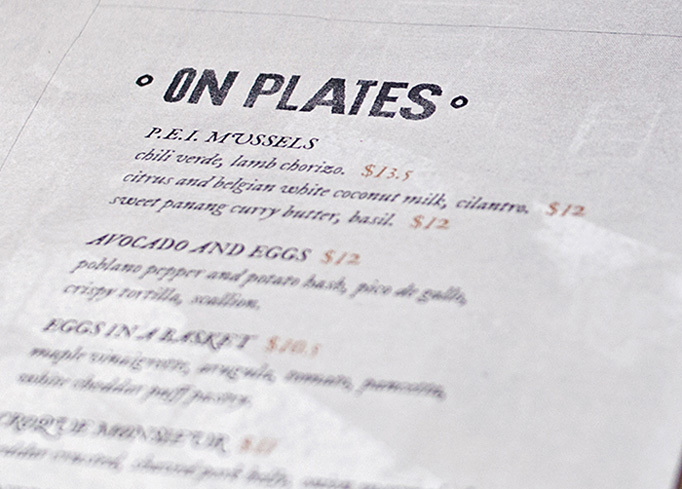 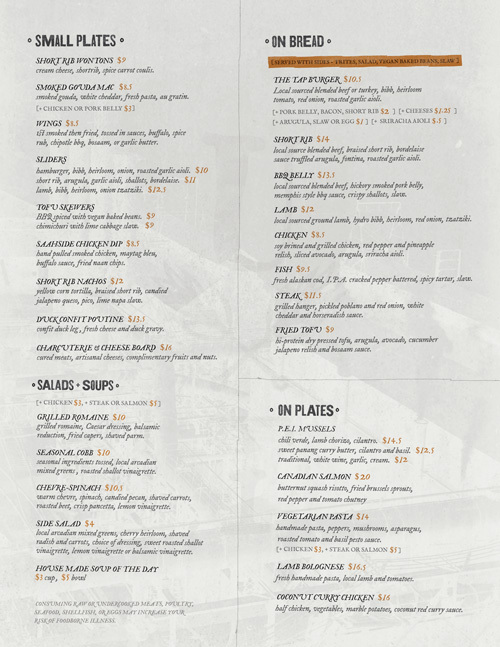 This aesthetic is achieved in the menus through rough lines, type that appears to be hastily set, layering of distorted images, and the rugged logo.